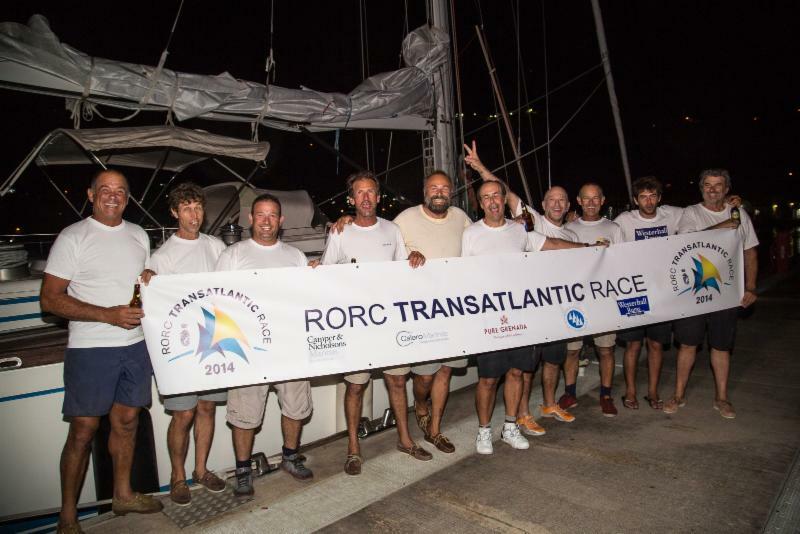 Aref Lahham’s Swan 68, Yacana, crossed the finish line of the RORC Transatlantic Race on Sunday, 14 December at 03:25 UTC. The crew are all friends from Greece, and the German Frers–designed yacht with classic lines is beautifully maintained and balanced for a heavy displacement yacht. Although Yacana was originally built for racing and has sophisticated equipment and electronic systems from that era, Aref Lahham has only raced her once before. However, the crew have raced together on a variety of yachts for many years and Yacana is currently lying third overall. 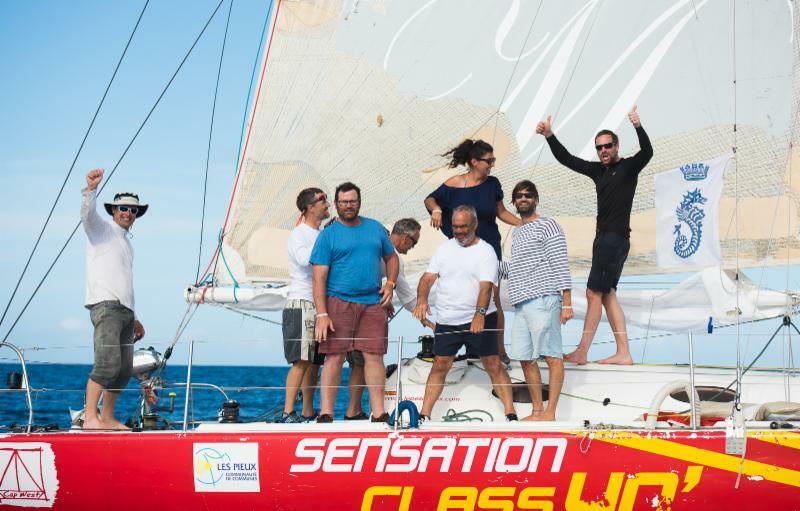 Ten hours after Yacana finished, Sensation Class 40, skippered by Marc Lepesqueux, became the fifth boat to cross the finish line of the 2014 RORC Transatlantic Race at 13:12:11 UTC on Sunday 14th December 2014 with an elapsed time of 14 days, 03 hours, 12 minutes and 11 seconds. 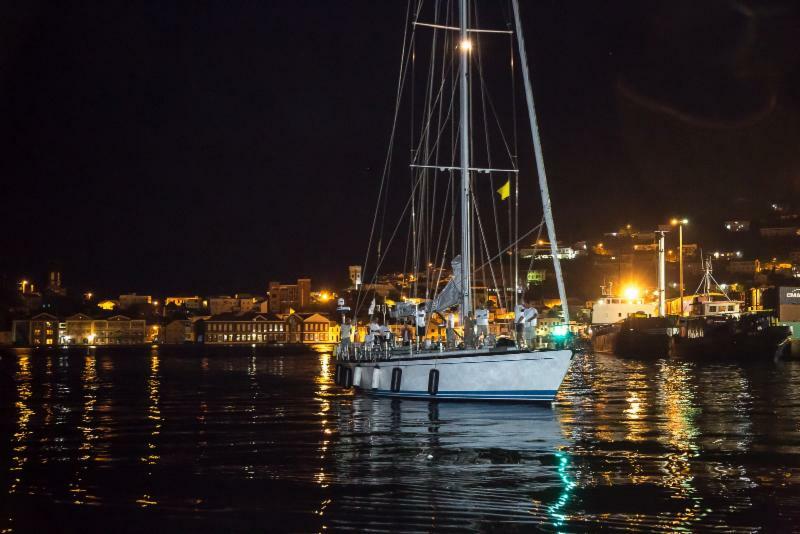 Coming into Camper & Nicholsons Port Louis Marina, the French team received a refreshing plume of fresh water from the Grenada Fire Service. With no interior, let alone a shower on board, the crew were freshened up for a warm arrival dockside with cold beers and a basket of local produce from the Grenadian Tourism Authority. 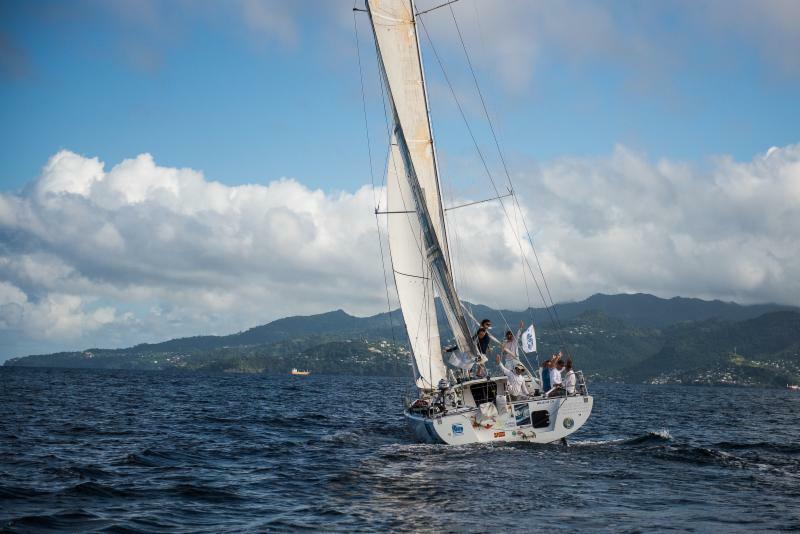 Derek Hatfield’s Canadian Volvo 60, Spirit of Adventure is expected to be the next yacht to finish the race around midnight (0400 15 December UTC). Nigel Passmore’s J/133 Apollo 7 is estimated to be leading IRC Two and expected to finish the race around midday local time on Monday 15 December. Frank Lang’s French X-40, Optim’X still has 400 miles to go and is about 60 miles ahead of Yves and Isabelle Haudiquet’s Pogo 40, Bingo, which has been sailing well. In the light breeze, Bingo has been observed on the tracker to be gybing continuously to stay in the pressure and the French team have made excellent progress from their efforts.